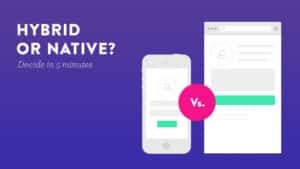 Hybrid vs Native Mobile App Development? 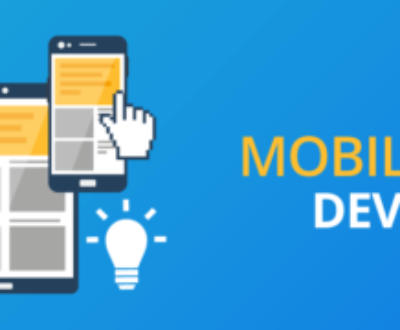 The advancement of technology in 2018 has led to a completely new level of interaction between users and companies through mobile technology. There are apps available nowadays, for any requirement that you could possibly have. That is, you can find apps for ride sharing, matrimonial, dating, ordering food, availing a service, Gaming, music, insurance, etc. 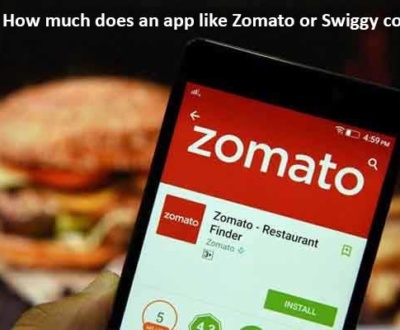 You name it and the service is available at your fingertips through mobile apps. The most common question that pops up before app development is the use of technology, i.e. native vs hybrid app development. Native Mobile App Development aka Native Apps? Full Device Integration – It can interact with device’s operating system features like camera, contact us, microphone, etc. Better UI/UX – Native apps offer their users natural experience as they have specific UI/UX standards defined for development. Native app’s smooth and descriptive transitions allow building seamless experience for users who are well aware of the app’s standard interface and navigation. Increased Development Costs – Native apps require multiple code bases to be maintained by developers thus making the task more complex. This generates higher development costs. On the other hand, a hybrid app has single code base. Involves More Developers – Native app creation is a time-consuming job and involves more work which in turn arises the need to hire more developers for the job. The developers should possess the accurate knowledge to develop apps for different operating systems. Easy Development Process – Hybrid apps don’t require different developers with specific operating system knowledge. They can be managed by few developers and thus ensure speedy app development. 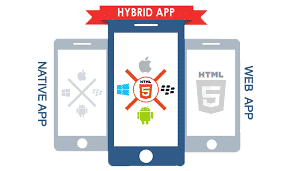 Hybrid apps work on both the platforms. Adding new functionality thus becomes easier as it is the one-time process. Low Cost – Hybrid app development is an easy and hassle-free process as you don’t need to develop two different apps for Android and iOS. This also makes the development cost effective. Best For Apps With Quick Release Cycles – Since hybrid apps need to be developed once for Android and iOS, the development time and cost is reduced to half. This, in turn, works best for applications that have short release cycles. Also, hybrid apps are preferred in cases where frequent updating is required. Native apps can be used when high-performance is expected to achieve through an app. Although it requires good budget and sufficient time frame. Hybrid apps can be used where the budget is low and there are quick release cycles required.